My skin has been problematic for a little over half my life. Because of this, i’ve tried out a lot of different products to find a solution. Although i’ve gotten used to dealing with it and also pretty good at hiding it, i’m always on the hunt for anything that is going to improve the clarity of my skin. Recently i’ve been using a cleansing balm to remove makeup and cleanse my skin at night. I’m very used to washing my face with some type of soap and water so this method of cleansing is very new to me. If you’re not familiar with the oil cleansing method, here’s the basic concept. The method is based on using Castor oil (a heavy oil) as the cleanser. When you massage it into your skin and then steam it out, it helps to loosen up the gunk that builds up and clogs your pores. It does this without stripping away the moisture and irritating the skin, the way synthetic soaps can. Because this method can be messy, MJ over at Soak It! has developed three different balms to help cleanse, tone, moisturize and treat different skin types. I chose the cleansing balm for oily & acne prone skin. At first it felt a little strange to be rubbing a balm on my face when it’s covered in makeup but i’ve found that it works really well and i’m very happy with the results! The cleansing balm is really easy to use, all it takes is 3 short steps! Step 2: Take a dime sized amount and massage into dry skin (take extra care in trouble areas). Step 3: Use a warm wet cloth to steam off balm. 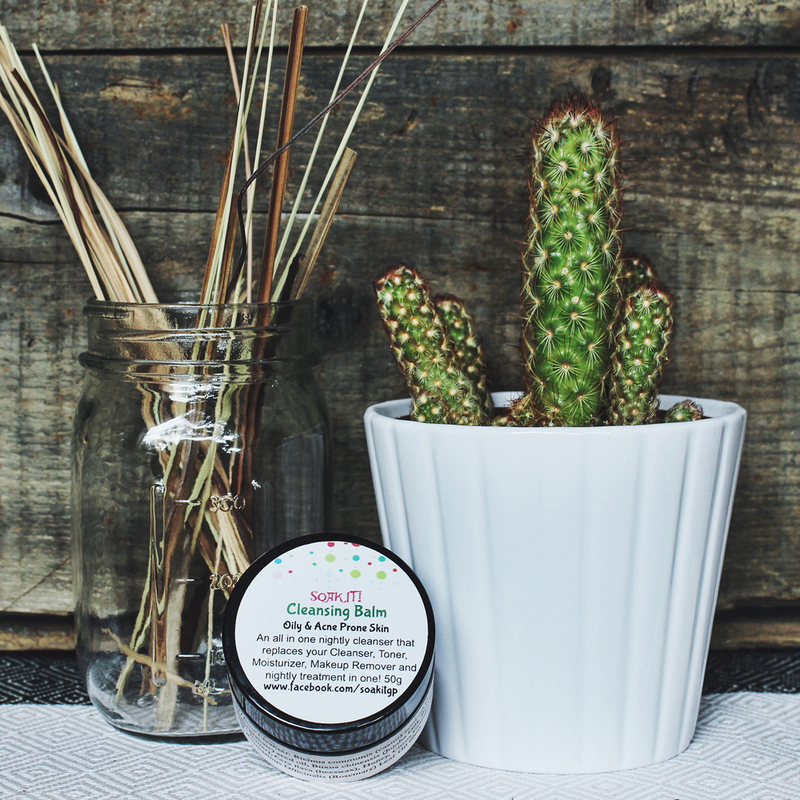 The best part of using this cleansing balm is that it doesn’t leave your skin feeling tight or dry. You don’t have to moisturize when you are done because it leaves your skin already moisturized! Head over to the Soak It! website to try it out for yourself! I would also like to mention that all Soak It! products are all natural and hand made! If you order between now and April 22nd you can use the promo code: Foxy15 for 15% off and also get a $10 flat rate for shipping to Calgary AB!